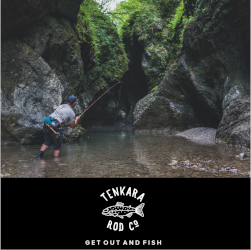 One of the main reasons the sakasa kebari style fly is so effective is because the hackle moves underwater making it look alive (click here for an underwater video to see one in action). 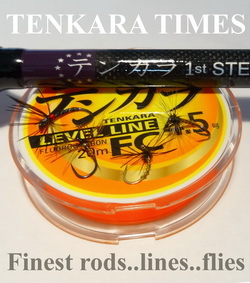 Like most flies, tiers use feathers for the hackle on their sakasa kebari. This is because the fibers are usually soft enough to provide good movement and they’re very easy to wrap. But I’ve been thinking for a while about using fur for hackle, since some furs are even more supple and would provide even greater movement. The trick was, how do you get it on the hook? 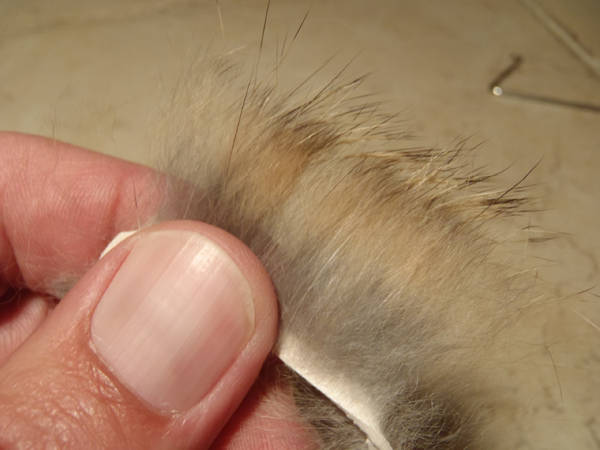 Fur generally doesn’t come in a nice “ready-to-wrap” package like hackle does. 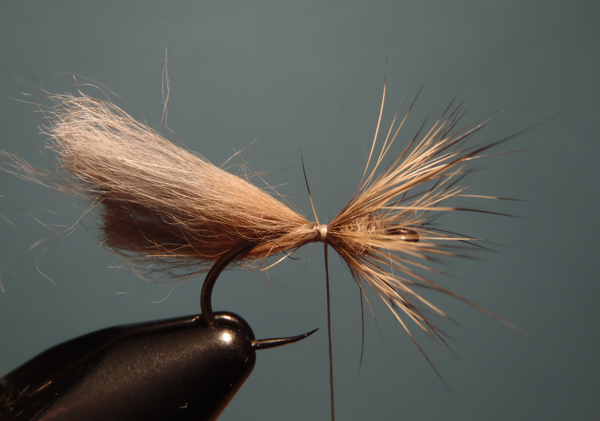 But after some experimentation, I discovered an easy way to use fur as hackle. I tried a lot of different furs before settling on zonker strips as the best option. One reason is that many furs are too stiff but rabbit fur is extremely soft (even softer than soft hackle feathers) so it would provide the best motion. The other reason is that some furs have really uneven tips and it’s difficult to get a consistent “hackle look” with them even if you try to stack them. But since zonkers strips come on a strip of leather, it’s easy to pinch a section and pull the fur to even up the tips. They won’t be 100% even, but better than many other furs and the variation probably just makes the fly look even buggier. Please note: these instructions only show the specific technique for using fur as hackle and assume you already have basic fly tying skills. 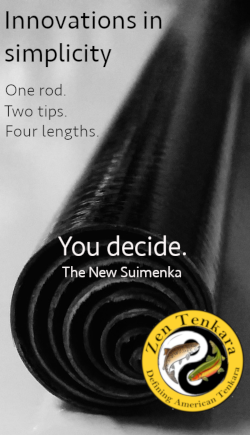 They are not intended to be a full step-by-step on how to tie a tenkara fly. 1. Start your thread as normal and make a “ball” of dubbing at the head of the hook. 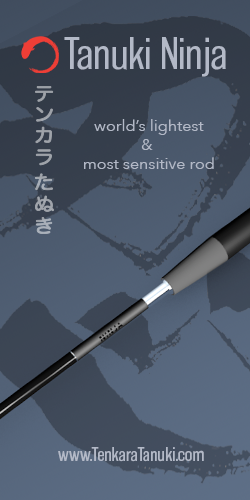 This ball will help the fur to flare out and to create the sakasa style. 2. Pinch a clump of fur and cut it off, trying to keep the points of the guard hairs even and remove the underfur (either by hand or with a static-free comb). How much you need will depend on what kind of fur you’re using and its density (an inch usually seems to be enough). 3. Place the fur on top of the hook so that the ends pass the hook eye for the length of hackle you want. 4. Make a loose wrap of thread on top of the fur clump right behind the dubbing ball and slowly spin the fur around the hook shank similar to the way you would spin deer hair. Try to get it so that the fur is evenly spread out around the hook shank. You should end up with something that looks like this. From here, you can clip off the excess fur and finish the body however you want. I finished this one off with just a thread body and black wire ribbing but with a wide range of color choices in zonker strips and and infinite combinations of body styles, you can really let your imagination run free and create some unique patterns. 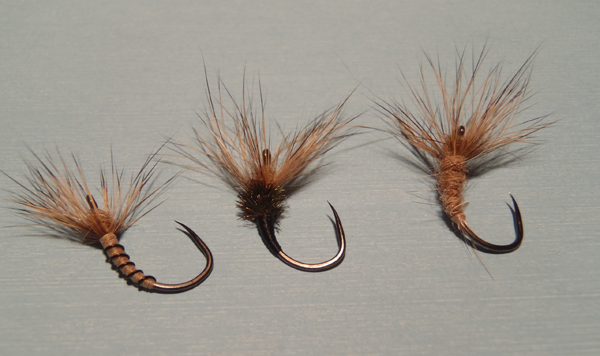 Here are some other variations including a peacock herl/thread body, and a dubbed rabbit fur body. After you’ve tied a zonker fur-hackled fly, drop it in a glass of water. You’ll see that even the slightest motion makes it come alive. And now that zonker strips come in so many colors (even patterns like barred and grizzly), you can easily come up with flies noone (and no fish) has ever seen before! I too have some fur-hackled kebari patterns I play with. However, instead of using the guard hairs as you do I use the underfur and spin it in a dubbing loop. 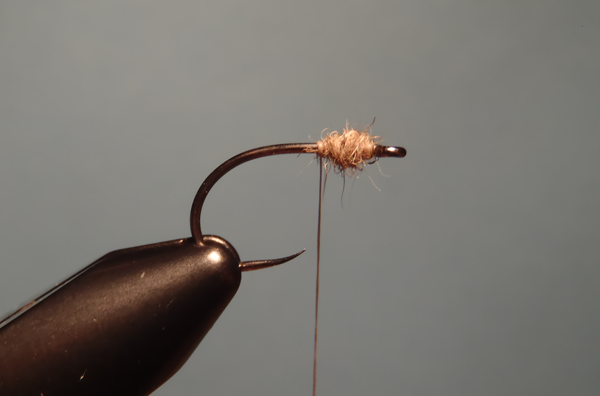 This is then tied around the fly making a “hackle” of extremely fine fibers. 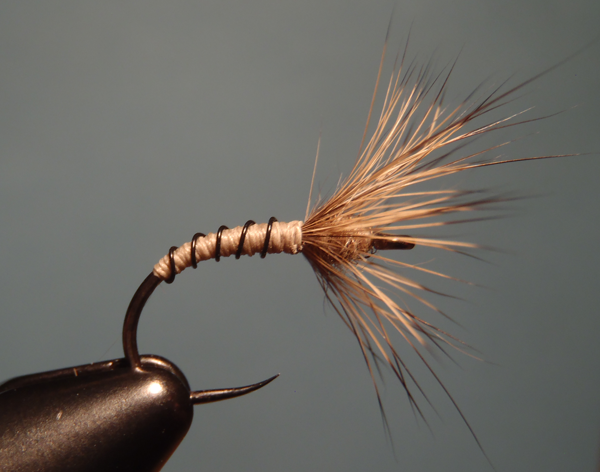 This works great for a small BWO “softhackle” variant pattern I use all winter. Tom, I thought about using a dubbing loop too and leaving some of the underfur in to give the impression of bulk at the thorax. Do you have any pictures? I’ve been using fur hackle for about three years now, even spinning small muddler heads with rabbit or Aus possum. I use the split thread method on small flies and dubbing loop on the larger. 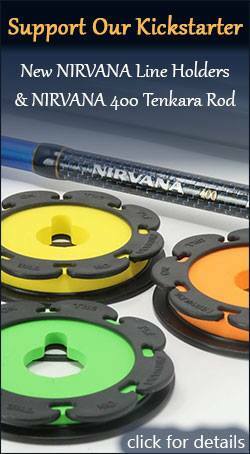 Gives better movement for the slower water I fish regularly. I like it! I have wondered how a dubbing loop would work, but I like this idea better. I think I will have something to do over Thanksgiving. Dale, still not sure it’s better. It’s easier and sloppier for sure, but I tried meticulous hair stacking and underfur combing, and it just didn’t really come out the way I wanted it. The rabbit guard hairs were really what I was going after because they are soft & flex well in the water. Great ideas. Look fantastic. Wish I could tie that well! Great looking flies. 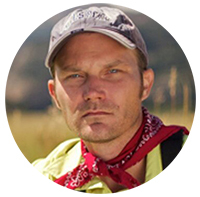 One other advantage that you have not mentioned is that the flies should last a lot longer. Hair stands up to fish teeth much better than feather barbs. 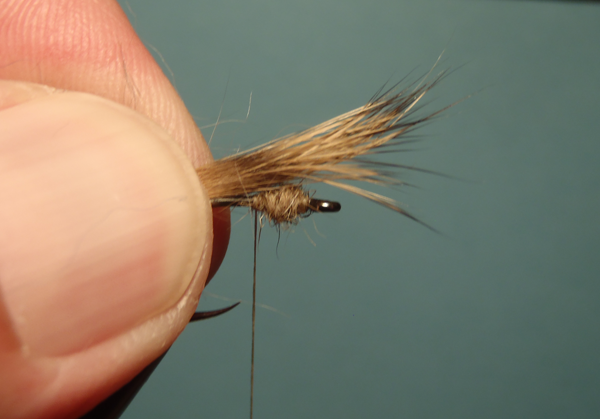 Some years ago on one of the forums I came across a fly I think was called the “Connor Indestructible,” tied with rabbit hair for the hackle. Good point Chris. I didn’t even think about durability but I think you’re right! with feather barbs that are too long for a specific hook size.